Kenyan opposition lawyer Miguna Miguna has been denied entry to Kenya for refusing to apply for a visa, privately owned The Star newspaper reported on Monday. Mr Miguna is travelling on his Canadian passport after he was stripped of his Kenyan citizenship. Kenya’s High Court on Monday ordered immigration authorities to allow an outspoken member of the opposition alliance to return to the country, after his deportation earlier this month. 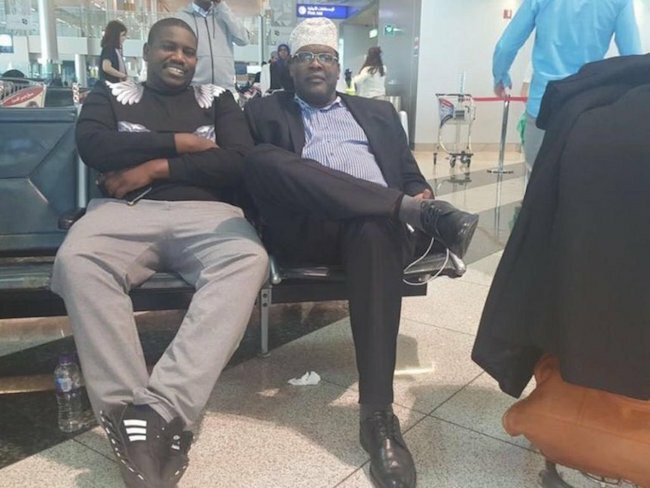 Miguna, a firebrand member of the National Super Alliance (NASA) coalition, was forced onto an international flight to Canada nearly three weeks ago. His deportation came after he was arrested for treason for taking part in the mock swearing-in of opposition leader Raila Odinga, who insists he is the rightful victor of last year’s elections. The interior ministry said Miguna had “denounced” his Kenyan citizenship after obtaining Canadian citizenship several years ago. High Court judge Chacha Mwita ordered the immigration department to issue Miguna “with a travel document to enable him to re-enter and remain in Kenya pending the determination and hearing of his petition” to defend his citizenship. “In default the petitioner shall be at liberty to use his Canadian passport to re-enter and remain in Kenya,” he said. Holding dual citizenship is legal in Kenya, and in August, Miguna ran for political office, with proof of Kenyan citizenship a key criteria for all candidates.